Aside from my score of vintage Star Wars action figures, the geeky gifts were lean this year at our Christmas, though there was one geek milestone that occurred. My daughter completed her first Lego set. She had those big Duplo blocks as a baby, but had never shown much interest then or later on. While out shopping for my nephew, I came across the Lego Toy Story Woody and Buzz to the Rescue set. When I brought it home, my husband freaked and said he wanted a set too. On Christmas morning, he unwrapped his Toy Story Lego set and shockingly, my daughter was as excited as he was. The next day, they spent an hour or so together at the kitchen table putting the set together. 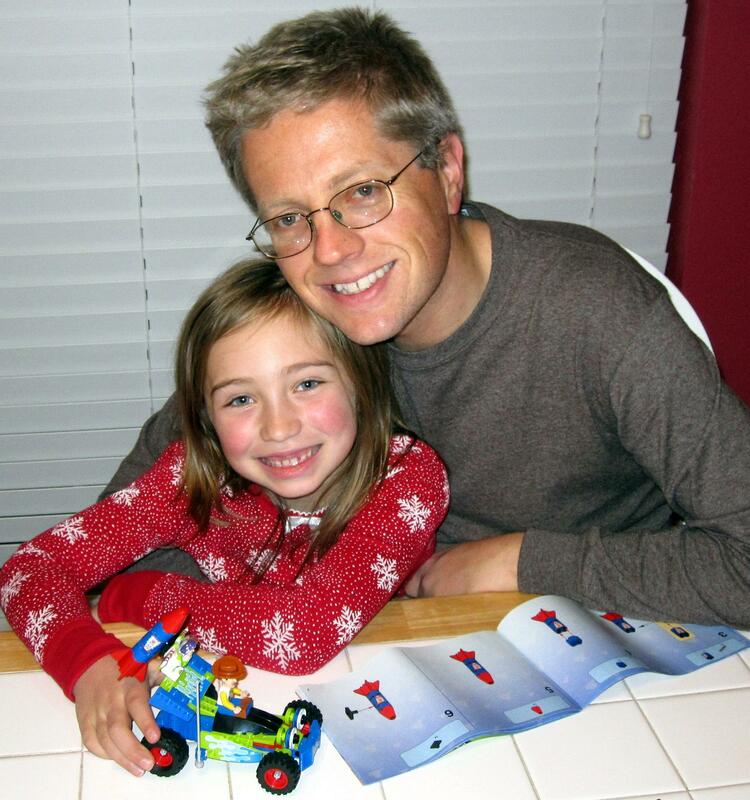 Let’s hear it for quality daddy/daughter time, Lego style. We are thinking of getting her a couple of sets of her own for her birthday. Sigh. They grow up so fast.